We are just about through with December and I have a goodie for you. 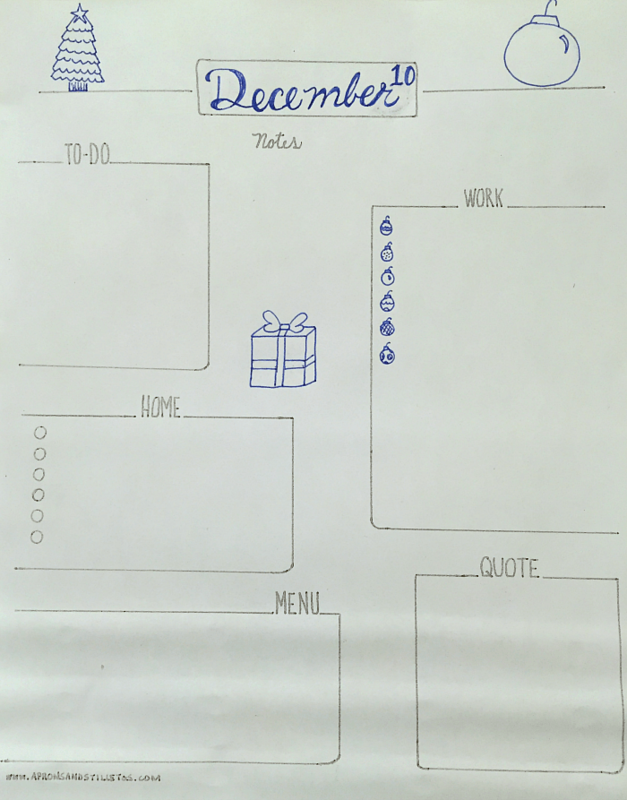 This is one of the planner formats I used this month and since so many of you liked it on Instagram, I scanned it and uploaded it for you. It doesn’t have the Christmas decorations on it. I drew those after printing the sheet. 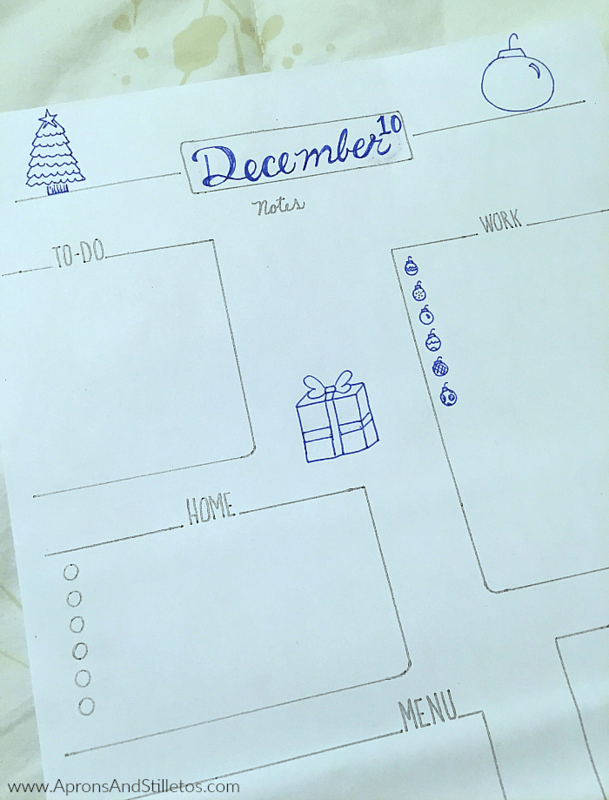 It’s a plain printable, so you can use it through out next year with ease. This was one of my favorite from December because I added a space for a daily quote. Having that little quote section on there was very motivational. I hope you find that space useful as well. I also included an unboxed space in the center of the planner page for notes. In fact, all the the un-boarded space can be used for note taking and doodling. If you use the planner page and share it on your instagram tag me using @apronsandstilletos. I love seeing how other people use my planner pages. 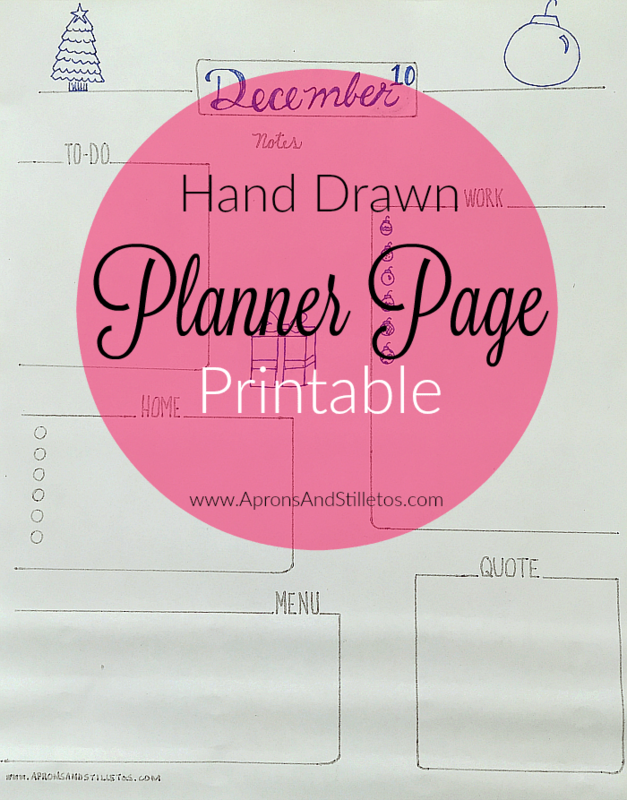 You can print the planner page here.